When you're a VanFan on Facebook you get offered special performances. This surely is one, received Monday afternoon. I have many live versions by Van of the second song, a favorite of mine. This version is from the session shown above. I love your Vase Flower compositions, Mary! Very pretty light and DOF! My VanFlan is pleased with your postings! Mary MacADNski: This delights me all around. Thank you! Mary MacADNski: My garden again has several inches of snow on it. I have to be patient - no choice. Tu nous offres là de bien jolis bouquets. Mary MacADNski: My reason to grow flowers is to bring them inside. Mary MacADNski: These are not hardy here. I had this inside-outside for 3-4 years. It is gone now. Mary MacADNski: Spring times 4 or 5, at least. Yes, a tribute. We will hit double digits this week. Mary MacADNski: I have proof it will arrive. And some well weathered wood. Mary MacADNski: A beach away from the beach. Mary MacADNski: We are just beginning to warm up; we've turned the corner. Mary MacADNski: I have many friends who are not VanFans but I am so much myself. I certainly understand the likes and dislikes of individuals too. Ahhh... music from our dear old BBC! I like the meeting and choice of focus for your July blooms. Mary MacADNski: I think the occasion marked 25 years since their collaboration. I have the album produced from this time period. a very nice study in still life, Mary. lovely colours. 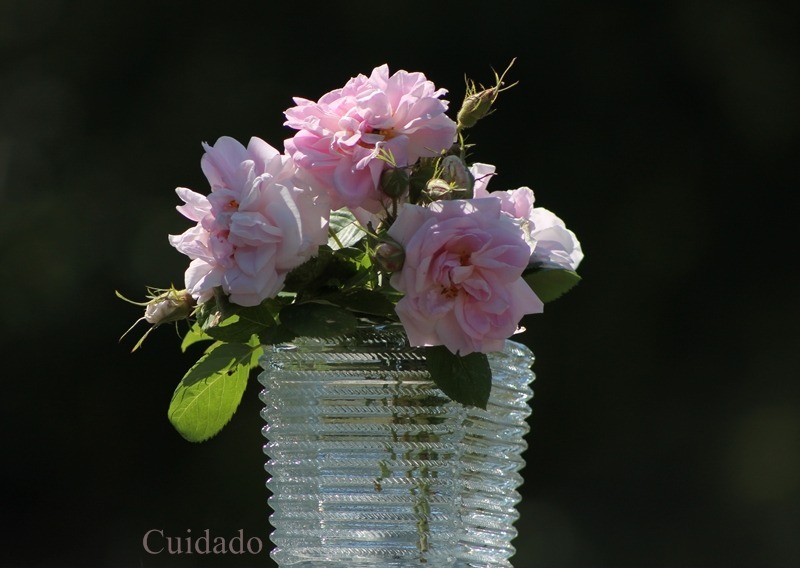 Mary MacADNski: I love flowers and vases and take many photos of both.